March is a month of transition. The seasons are changing from winter to spring in the Northern Hemisphere. South of the equator it’s moving from summer to fall. All around the world, change is prevalent. This change is no better illustrated than in the names the Native American’s had for the March moon. Days grow longer as we progress into spring. The sun makes its way a little higher into the sky every day. For the tribes of the Northern and Great Plains, this could cause a problem. The bright sun would reflect off the white snow and could sunburn their eyes. This can cause a painful condition known as snow blindness. This inspired the Souix to name the March moon, the “sore eye moon”. Many northern Native American tribes view the cawing of crows as a sign that spring was coming. Birds are also well represented in Native American moon names for March. 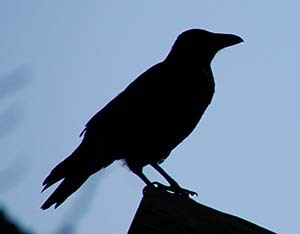 Many northern tribes saw the cawing of crows as a signal that winter was over, so we have “crow moon”. Other bird related moon names are “eagle moon” (Cree), “moon of the crane” (Potawatomi) and “noisy goose moon” (Haida). 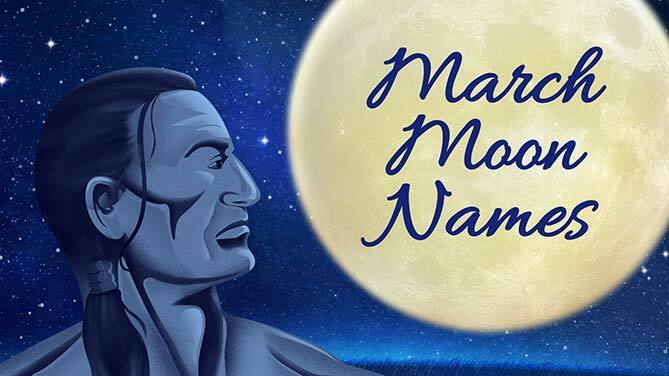 This sample of Native American moon names gives us a small taste of the richness of their cultures. 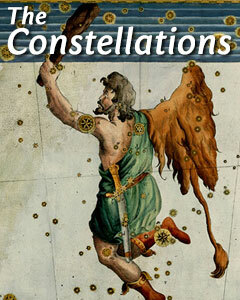 Their keen observation of the weather, plants and animals and tying them to cycles of the Earth and Moon demonstrates their deep connection with the natural world. The good news? 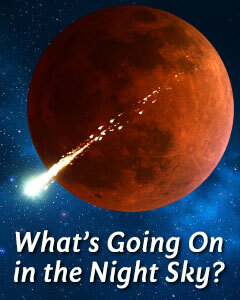 During the spring the nightly fireball rate climbs by up to 30%, giving you a better chance to observe the fireworks! 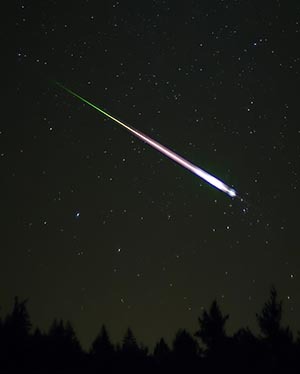 On average, an experienced observer might see one fireball with the apparent magnitude of about -4 for every 20 hours of observing. 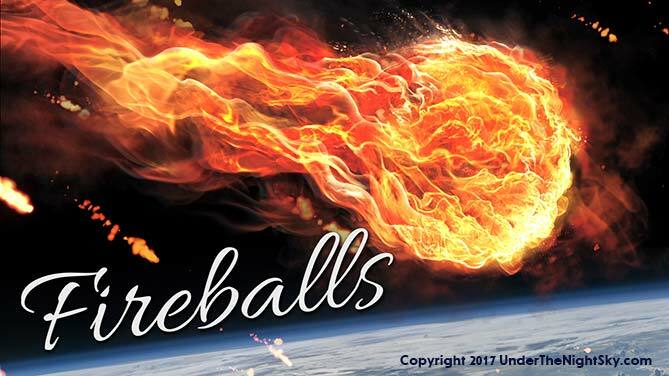 So why are fireballs more common around the March Equinox than at other times? No one is exactly sure. But one theory, suggested by NASA, is that more debris capable of creating a fireball litters this part of the Earth’s orbit. No matter what the reason for the fireball increase is, now is a good time to try to spot one. Fall is officially here and with that a good time to see the zodiacal light, and with the Moon absence from the morning sky for the next couple weeks it makes a particularly good time to get a glimpse. 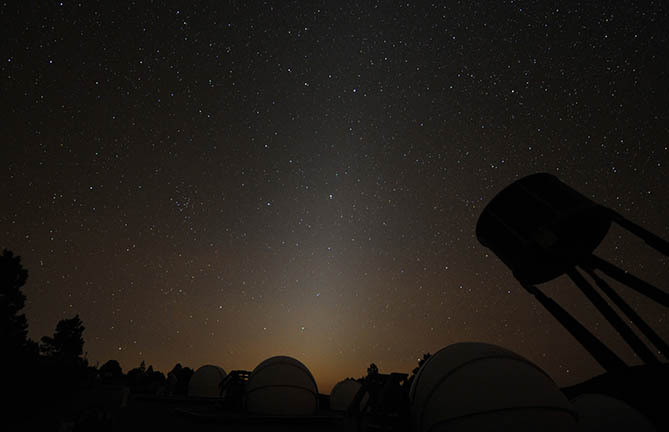 What is zodiacal light and what causes it? It is a pyramid-shaped glow that appears in the eastern sky before dawn or western sky just after sunset. This phenomenon is caused by sunlight reflecting off the dust particles that move in the same plane as the Earth and other planets as they orbit the Sun. The zodiacal light appears brighter the closer you get to the equator. At this time of year you can see the zodiacal light an hour or two before dawn in the eastern sky. 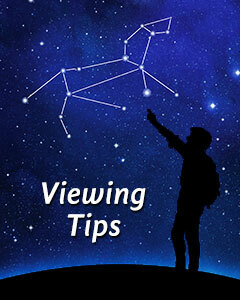 Observers in the Southern Hemisphere can see it after sunset. 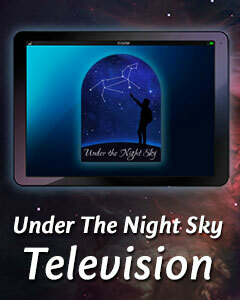 Dark skies will be needed to see it, so try to get far away from the city lights.